One of the things that I noticed with my preschooler was that she could count almost to 20 and could recognize her numbers to 10 but when I would ask her how many of something she would get all mixed up wouldn’t be able to tell me. Sometimes it was because she would double count something other times she would count them correctly but when asked how many she would give me another answer. So of course I headed to Ideas for Preschoolers to see what they had to help. 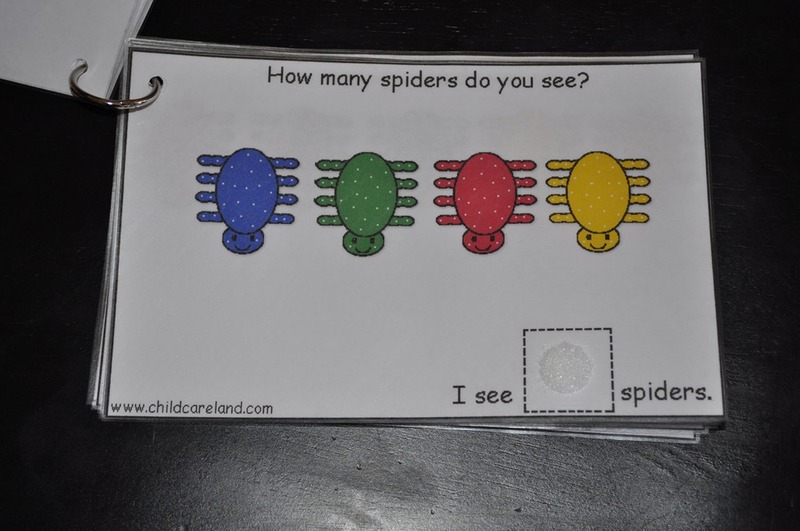 I found a great counting book called How many spiders do you See? 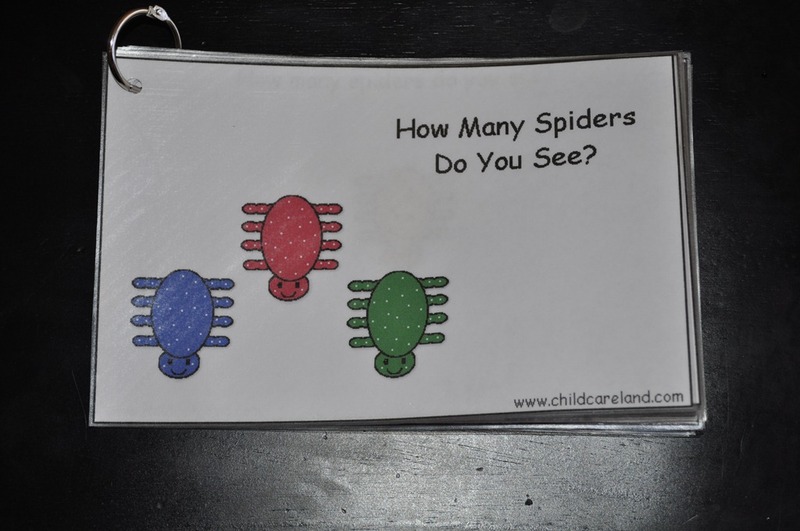 This book had a different number on spiders on each page and your child has to count them up and then place the correct number on that page. I of course wanted to be able to use it over and over so I laminated it with clear contact paper and then placed Velcro on the page as well as the back of the numbers. Punched a hole in the top and placed them all on a book ring. 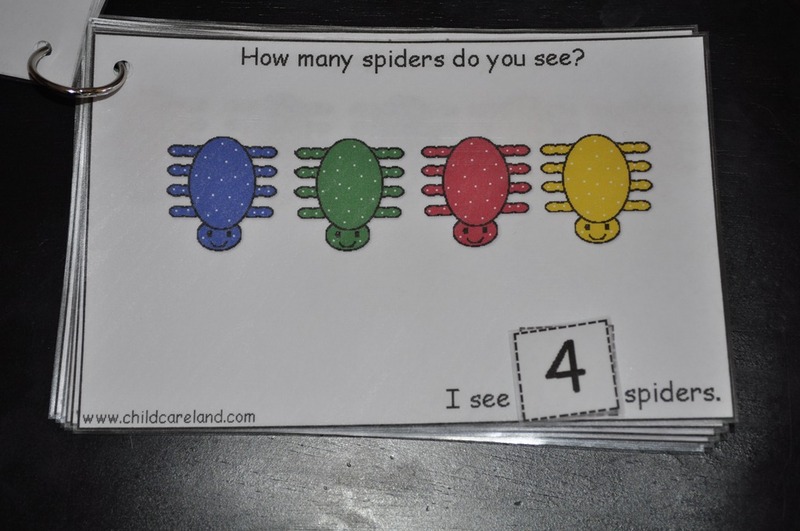 Now I have a great counting book that we can use over and over. For right now I have the pages all in numerical order but in the future I plan on mixing them up so that I can make sure my preschooler has a real understanding of her numbers. It is easy to know your numbers in order it is harder to be able to recognize them out of order.